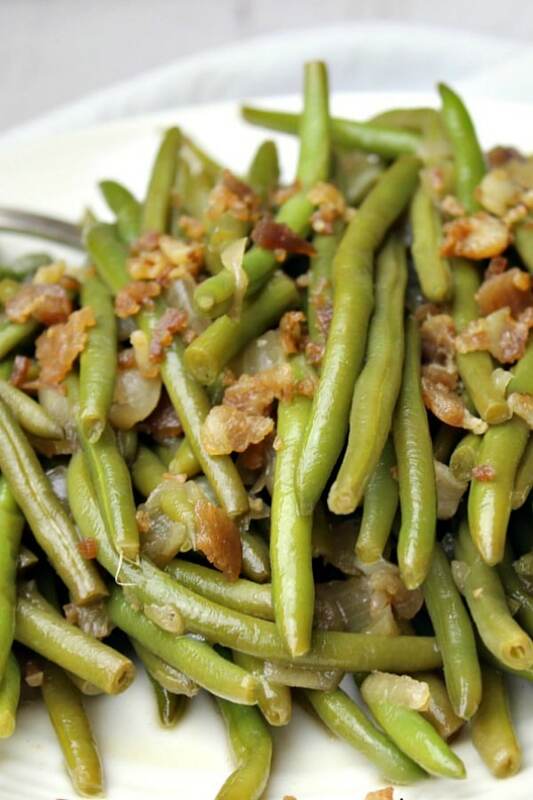 Steakhouse Green Beans are a great easy to make side dish for just about any meal. I love to serve them with chicken, pork chops, and of course steak. There’s a steakhouse here in Jonesboro that we love to go to on weekends. One of the things I always order is the green beans. 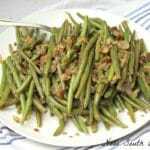 Their recipe has a smokey and savory flavor that really elevates the humble green bean to something more than it’s usual blah-not-so-special taste. I finally after a few weeks of begging and pleading asking got the recipe. Once I made them at home and realizing they were just as good as in the restaurant I knew I would have to share them with y’all. 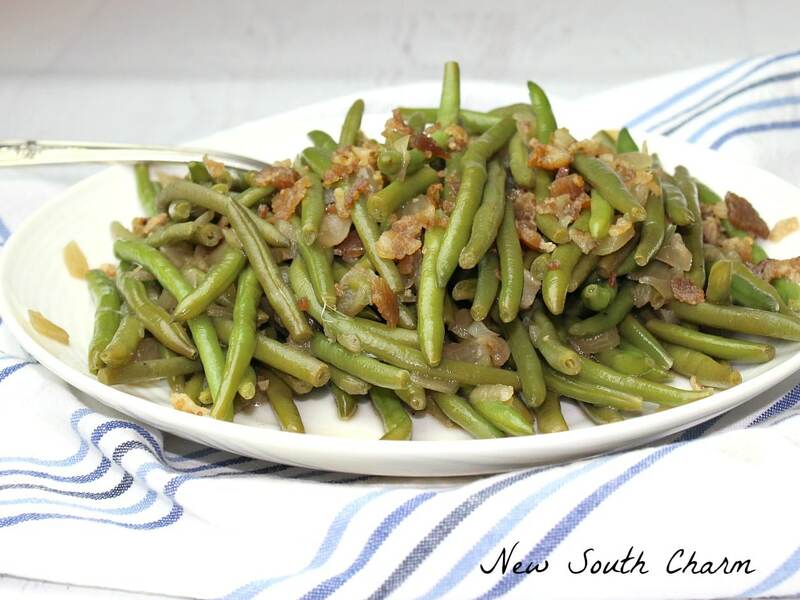 I use a skillet to prepare these green beans but you could use a sauce pan if you prefer. Just be sure your pan has a lid. You’ll need a lid to help maintain the moisture in the green beans. Begin by warming up a tablespoon of olive oil over medium heat. This should only take about a minute or two. Next, add a half a small onion to the olive oil and cook until tender, again this should only take a minute or two. Once the onion is tender add in Worcestershire sauce, chicken stock, water, salt and pepper and stir to combine. Finally add in a pound of green beans and toss to coat. Bring everything to a boil and then cover and reduce heat to low. Allow the green beans and seasonings to simmer together for about 20 minutes. While the green beans are simmering I pop a couple of pieces of bacon in the microwave and then crumble them over the top of the beans. 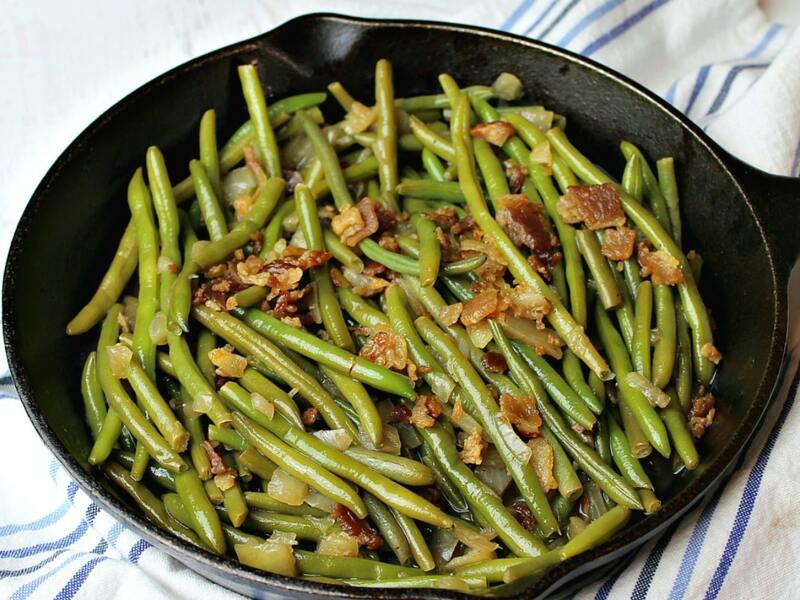 Of course the bacon is completely optional if you don’t have any on hand or you don’t eat bacon just leave it off there so much flavor in these green beans you won’t miss it at all. Thanks Chris! I hope y’all love them as much as we do! Susanne, I am glad to have a change of plain beans. I try to have a veg most meals, but they get a little boring. Thanks for the wonderful idea! And I love your ” ya all”. Tonight, I made my favorite sloppy joe recipe and wanted a new green bean side. It’s just what I was hoping for. Tastes amazing! Thank you, thank you! Thanks Sharon! 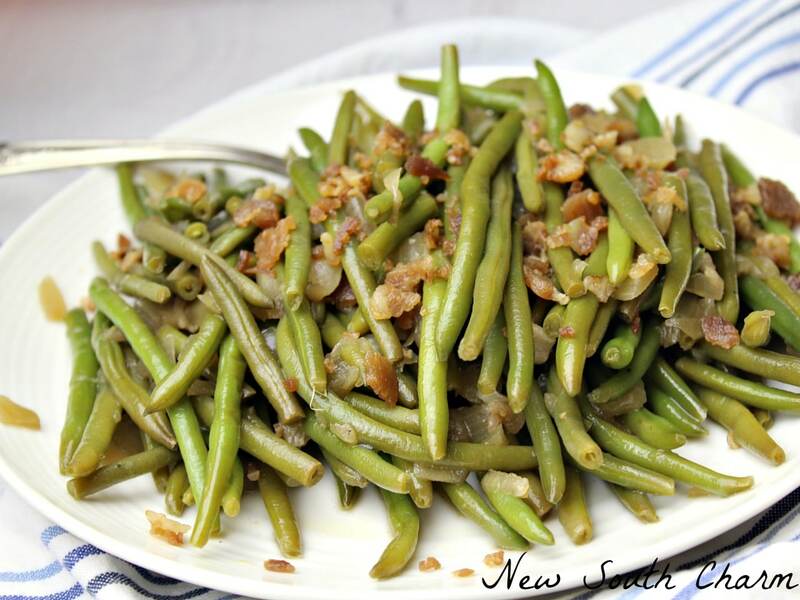 I loved these green beans too!